b. 14 Apr. 1738, 1st s. of William, 2nd Duke of Portland, by Lady Margaret Cavendish Harley, da. and h. of Edward, 2nd Earl of Oxford. educ. Westminster 1747-54; Ch. Ch. Oxf. 1755; Grand Tour (Poland, Germany, Italy) 1757-61. m. 8 Nov. 1766, Lady Dorothy Cavendish, da. of William, 4th Duke of Devonshire, 4s. 2da. suc. fa. as 3rd Duke 1 May 1762; K.G. 16 July 1794. P.C. 10 July 1765; ld. chamberlain, July 1765-Dec. 1766; ld. lt. [I], Apr.-Aug. 1782; first ld. of Treasury, Apr.-Dec. 1783; Home sec. July 1794-July 1801; ld. president July 1801-Jan. 1805; first ld. of Treasury Mar. 1807-Oct. 1809. Ld. lt. Notts. 1795- d.
Titchfield in his absence had been returned for Weobley by his brother-in-law, Lord Weymouth. His career in the Commons was short and uneventful, and no vote or speech by him is recorded. As a peer he was a prominent member of the Rockingham group, close to Rockingham (who liked and trusted him), but by himself of no weight in the House. The 2nd Duke of Portland had no electoral influence; the 3rd Duke showed a turn for electioneering and made a success of it. In 1765 he captured Wigan; and in 1768, in the great fight with Sir James Lowther, won both seats for Cumberland and Carlisle. He was at first ready to take risks (and also liable to be imposed upon),7 but as he grew older became more cautious. 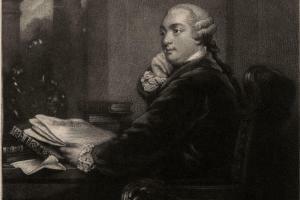 By 1784 he had withdrawn from Carlisle and lost much of his influence at Wigan; while his position in Cumberland was due to his being the leader of the anti-Lowther party rather than to his own interest. On Rockingham’s death he became the titular leader of the party. 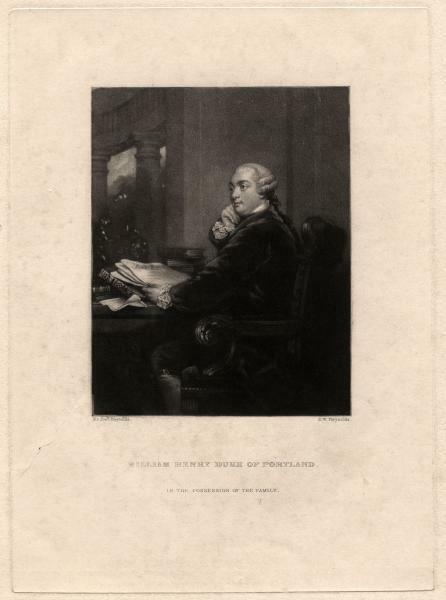 But Charles James Fox was the real driving force, and Portland would not have become head of the Coalition ministry had he not been content to be led by Fox. In 1794, strongly pressed by Burke and Windham and after much dithering, he led the bulk of his followers over to Pitt, protesting to the last that he remained a Whig. He died 30 Oct. 1809. 1. Autobiog Corresp. Mrs. Delany (ser. 1), iii. 472. 3. To Wm. Bentinck, Egerton 1722, f. 181. 4. See letters quoted in A. S. Turberville, Welbeck Abbey, ii. 38-40. 6. Walpole to Mann, 25 July 1785. 7. For Portland’s unsuccessful electioneering, see CALLINGTON and COVENTRY constituencies.